Today’s Deal is a great deal on one of the top phones for 2016. The Honor 8 is being sold unlocked so it will work with any GSM carrier here in the US like AT&T and T-Mobile. It has a 2.3GHz octa-core processor, 4GB of RAM and either 32GB or 64GB of storage (expandable up to 256GB with the MicroSD slot). The Honor 8 has a 5.2″ display, fingerprint scanner and a 12MP dual-camera rear shooter. Normally the Honor 8 is $399.99 but today it is down to $289 for the 32GB model while the 64GB model is normally $449.99 and it is down to $348. end of this year or early next. 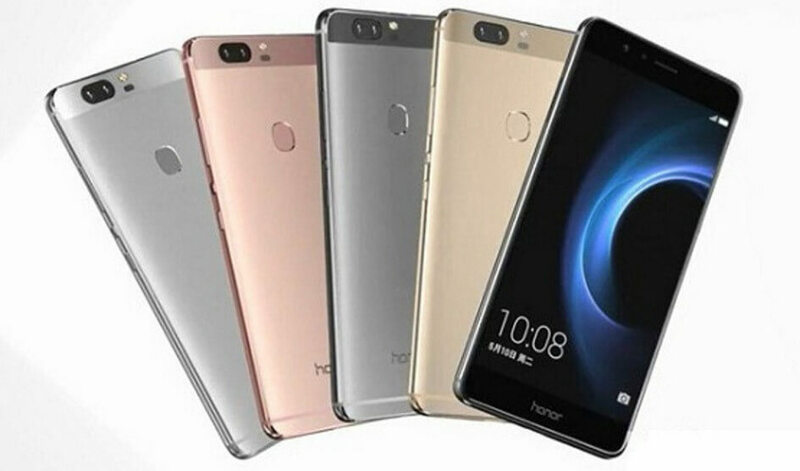 The Honor 8 is available in Black, White and Blue and all colors are eligible for the sale price but vary just slightly depending on the color you choose. The Honor 8 has been one of the more well received devices of 2016, with numerous reviews pointing to it as a solid performing flagship device at an excellent price point. To get more details about this deal, head over to Amazon and get more information and to place your order. Regardless of which color or storage size you order, all are eligible for free Prime shipping.